December is Crunch Time for College Applications! So you’re a high school senior and it’s December. No doubt your classes have been challenging, you’ve spent a lot of time with extracurricular activities, there have been many special senior-year events, and some of you are likely working on to top of all of that. Hopefully you have your college applications under control as well. Perhaps family, friends and teachers have helped you keep on pace. Guidance counselors and college recruiters may also be staying in regular contact with you. But the reality is some of you may have put a handful or even all of your college applications on the back burner too many times, so now it’s crunch time. Don’t panic! Yes, you’re probably too late for early decisions, and our own college scholarship deadlines have passed. 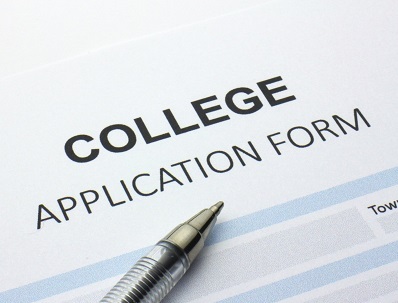 However, the vast majority of colleges have application deadlines within the first several weeks of the year, and there remain many, many scholarships with deadlines weeks or months away. Even at this point, there’s still time to get things done—but none to waste. So take a breath, get organized, and prepare to work hard on your applications over the next few weeks. First, gather all of your applications. Make a list of all of the due dates so you can prioritize. Take inventory of the materials you’ll need, and which ones may be common to multiple applications—many schools now use the “Common Application”, but that are still some that do not. Read all directions carefully and come up with a plan to tackle all of these tasks in the next few weeks. Act as soon as possible on the things that are not under your control. • Request any printed materials you may need—remember U.S. mail can take days or weeks to arrive. • Request test scores (SAT and/or ACT) and your transcripts from your school. • If you plan to re-take a test, you have a very small window to do so at this point. • Ask for letters of recommendation, or gently remind those you’ve already asked. Then focus on your own responsibilities. • Take care of all of the preliminary paperwork, such as fee waivers, questionnaires, and application forms. These are typically the simplest tasks; but when combined for several different schools, they can end up being very time-consuming. • If your school/program requires a portfolio, gather these materials right away and begin putting them together. • Begin writing your essays; they’ll probably need to customize them for each school, and you may need several drafts before each one is ready. You should also arrange for someone to proofread and provide feedback, so give them plenty of advance notice. • Follow up with each school’s admissions office to double check that they have received all of the materials they need and that your application is considered complete. • Write thank you notes to anyone who has helped you, especially those who wrote letters of recommendation. • Complete and submit your FAFSA after January 1 as well as a CSS/Financial Aid PROFILE. • Then focus on scholarship applications. • Now you’re caught up…good luck!